Soar to new fashion heights with this necklace from Gucci's Anger Forest collection. 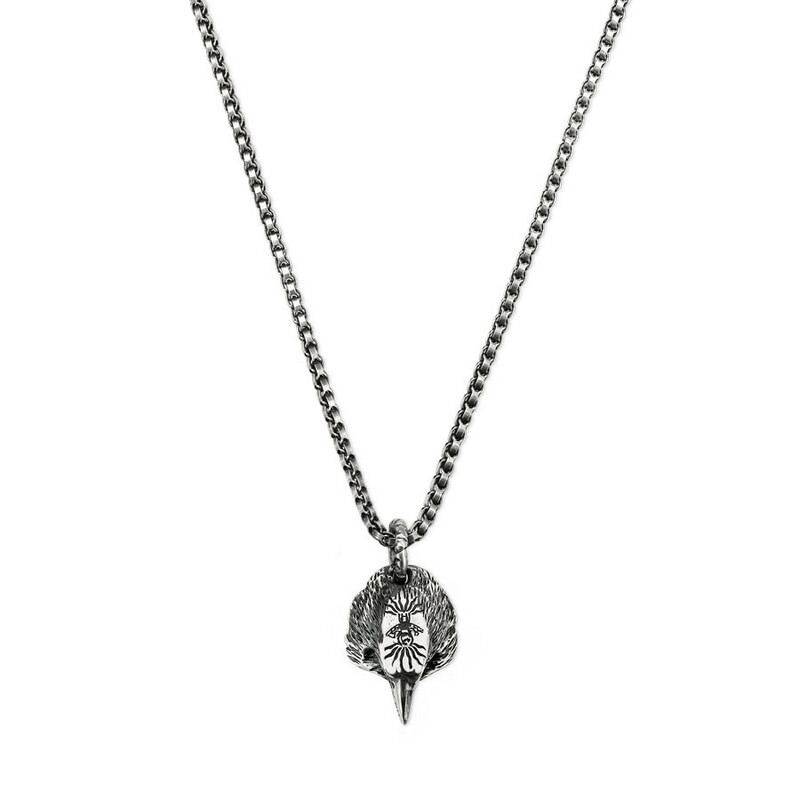 Crafted in sterling silver with an Aureco black finish, the pendant features an eagle head, symbolic of strength, courage and freedom, and its top is adorned with the brand's bee motif. It's suspended on a precious metal chain that adjusts between 20" and 22". You're free to show your strong sense of style with his Gucci pendant necklace!